Bluewater has the capabilities to design and build any type of steel or aluminum water craft up to 50ft in length. Aluminum Barges are perfect for working both in deep and shallow water and the drop down bow ramp is perfect for the quick loading and unloading of supplies. 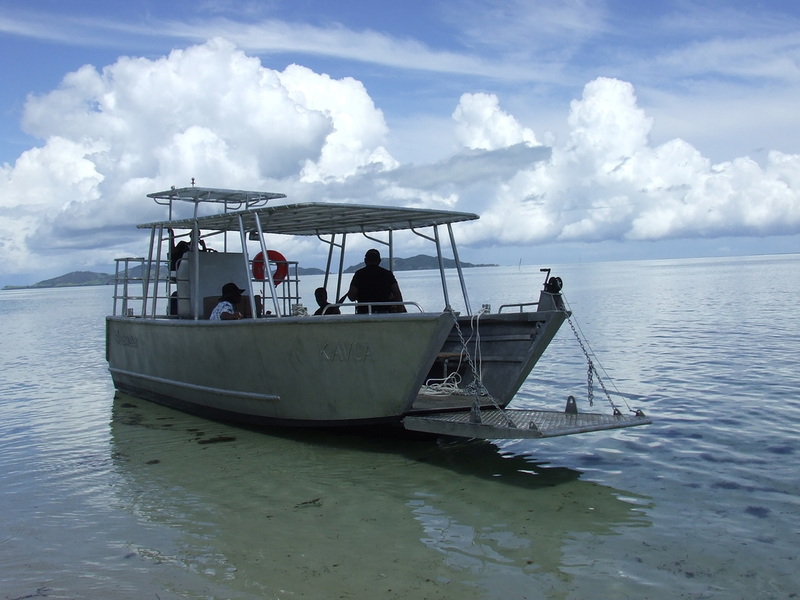 In this instance a 28' aluminum barge was commissioned to service the islands off the west coast of Fiji. It is currently being used as an extra dive boat by SPAD and has an added boarding ladder to allow diver easy access to and from the water.